The FlexMed Early Assurance Program at the Icahn School of Medicine provides a path to medical school that offers maximum flexibility in the undergraduate years for Hunter students to explore their educational interests unencumbered by the traditional pre-medical science requirements. Students must be committed to becoming physicians and have well-defined plans for how they plan to use the flexibility provided by this program. The FlexMed program assures highly motivated undergraduates admission to the Icahn School of Medicine at Mount Sinai upon successful completion of program requirements and graduation from Hunter College. The MCAT is neither required nor permitted to be taken. The FlexMed Application opens on August 15 and must be submitted by January 15. Three (3) letters of recommendation are are required: 1)high school teacher, 2)Hunter professor or faculty advisor, and 3)other person who knows the student well academically or professionally. Who should apply: First semester sophomores with a first year GPA over 3.70 and very high SAT or ACT scores. Applicants must have completed 2 semesters of college Biology, Chemistry, or Physics by the January 15th application deadline. If accepted , additional course requirements as specified in the program material must be completed prior to graduation. For more information, visit: FlexMed Program Requirements. Aim of the Program: To offer an early assurance program (Rochester EAP) (conditional acceptance) to the University of Rochester School of Medicine and Dentistry to a select number of highly qualified college applicants from a select group of colleges, including Hunter College. 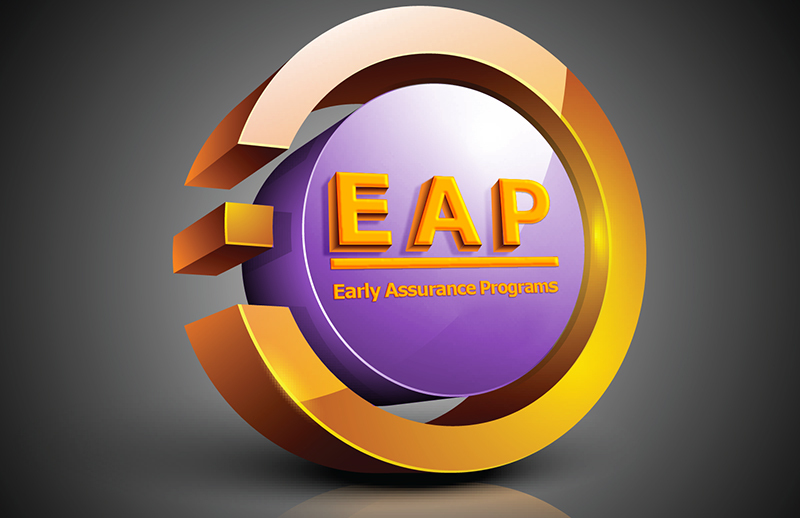 The Rochester EAP is not an accelerated program. Rather, it is a competitive program offered to sophomore students from a select group of colleges (including Hunter College) who are clearly interested in and committed to careers in medicine, mature, and who wish to make the most of their undergraduate experience without the pressures associated with taking the MCAT exam or applying to multiple schools during their final year in college. The Application opens on May 1 and the final date for submission is June 30. Scope of the Program: By its very nature, the Rochester EAP is designed to free up time in the remainder of the undergraduate experience in the hope that accepted applicants will use this time to broaden their educational horizons, participate in semester abroad programs, and focus on their education unencumbered by the normal application process to medical school, including MCAT preparation, the AMCAS application process, and the time and expense associated with multiple medical school interviews during your senior academic year. Rochester seeks students with superior academic records and significant extracurricular activities with sustained participation in medically-related activities and community outreach who will benefit from Rochester’s unique academic environment and enrich the medical school class through the diversity of their educational and experiential backgrounds. Rochester does not require a high school transcript, SAT or ACT scores, or the MCAT exam. The Application does require a letter of recommendation by the Pre-Health Advising Office and submission of an official college transcipt. Moreover, any applicant who is conditionally accepted into the Rochester EAP may, by notifying Rochester before May 15th of the year they would normally matriculate at Rochester, request a deferment for one or more years if there is a compelling reason. For example, the accepted student may wish to complete or continue an ongoing research project, pursue an advanced degree, or participate in a service-based or prestigious scholars program. Finally, accepted students also will be afforded the option of coming to the University of Rochester Medical Center campus to do research for a paid eight-week period during the summer between their junior and senior undergraduate years. As part of this optional program, you may participate in an overview course of human anatomy and physiology taught by Rochester’s medical school faculty. For more information, please contact the Pre-Health Professions Advising Office. Aim of the Program: The SUNY Upstate Medical School Early Assurance Program (SUNY Upstate EAP) offers early acceptance of undergraduate students during their second year at Hunter College. Applicants must have sophomore standing. Hunter students who have completed two years of college study but have advanced standing due to AP credit are eligible to apply. The SUNY Upstate EAP is designed to free students from the pressures associated with applying to numerous medical schools, allowing them more freedom to pursue unique academic interests and experiences. It is NOT intended to accelerate the length of time of an undergraduate education. Accepted students are required to complete their remaining two years of college, maintain a 3.5 science GPA (in required medical school prerequisites) and a 3.5 overall GPA, and must achieve a recommended score of 509 on the MCAT exam by August 31st of the year prior to entry. A maximum of two (2) attempts will be allowed (if needed) to obtain this score. Accepted students are also expected to continue relevant volunteer experiences. A minimum cumulative GPA of 3.50. A minimum science GPA of 3.50 in required medical school pre-requisites. Must have NEW SAT score of 1350 or better or OLD SAT score of 1300 or better (Combined Critical Reading & Math) or ACT score of 29 Composite or better. All science courses must have the corresponding lab with the exception of Biochemistry. The courses below are additional pre-requisites that do not need to be completed prior to the application; however, they do need to be successfully completed prior to enrolling as a medical student. The SUNY Upstate EAP application becomes available March 1 and is due no later than July 1. Please visit the SUNY Upstate EAP website for further information. The student must apply to the program in the junior year of their undergraduate studies degree program at an accredited U.S. College or University. *Note: The MedStart Program will not consider applicants who plan to accelerate their coursework and graduate early. · *The University of Toledo Medical School Admissions does not accept virtual online lab courses. 3. All recommendation letters, test scores and updates must be uploaded into the application. If you have any questions, contact the University of Toledo Medical School Admissions Office at 419.383.3680 or MedStart_COMLS@utoledo.edu.